When I booked my flight into Bangkok, I didn't give much thought to the date. I was rushing around, trying to get everything sorted in the handful of hours before I left for my trek, so I picked a somewhat arbitrary date, for roughly one week after we would complete the trek. Sometime in the middle of my trek I realized, oh hey, I'm flying into Bangkok in the middle of their New Year. Which they celebrate with a giant water fight. Crap. I mean, don't get me wrong, participating in the world's largest water battle did sound fun, but arriving into the city, with my piles of luggage, in the middle of the afternoon, the idea of the battle through traffic and subsequent risk of getting everything I have totally drenched were less than ideal. But, as it turns out, I didn't need to worry at all. Jet Airways and the universe seemed to conspire to help me out with my scheduling issue in such a way to leave the gods of irony chuckling. 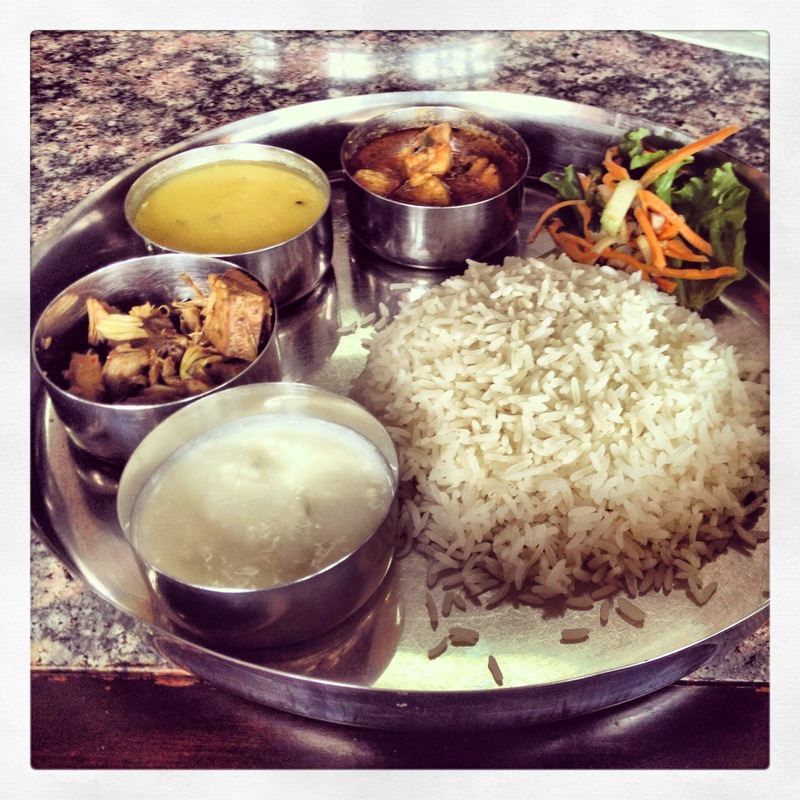 When I arrived at the Kathmandu airport just after 7:30 am for my flight, I hadn't eaten a bite. Mostly because nothing in Kathmandu opens before 8. So when I checked into my flight a solid two hours in advance (international and all) and was told, "oh, your flight is delayed and you'll miss your connection, so just stand over to the side there and we'll let you know something later", I wasn't exactly in the happiest mood. Nine people in total wound up being left in the check-in area of the airport for hours with absolutely no information - sometimes we were told there were possible seats on a direct Thai Airways flight, sometimes we were told we would fly the same route we had originally been booked (Kathmandu to Delhi to Bangkok) the following day, sometimes we were told we would be sent to Mumbai for a red eye into Bangkok. Eventually we were told that yes, we would be flying to Mumbai, and yes, they would give us a meal. Just one. In Kathmandu. After we went through security. Sometime around 2 pm, after waiting for over 6 hours, we finally had boarding passes in hand and were able to pass through security and get our free plate of dal bhat at the airport restaurant. The flight was scheduled to leave at 3, but in actuality left closer to 4, with men pushing in front of me as we queued up to board the plane. At least they gave us a free beer. The Mumbai airport was shockingly nice - much, much nicer than Kathmandu - and I managed to find a little corner in a restaurant that had the holy trinity: coffee, wifi, and a plug for my laptop. Our next flight didn't actually leave until 1 am, and they served us dinner after we boarded, and the flight only lasted about 4 hours, so in total… probably 1-2 hours of sleep that night. Maybe. But hey, I made it to Bangkok in one piece, and easily arrived at my hostel one day late, soak-free and in no time at all, thanks to the 6 am arrival of our flight. Universe, you win. Thankfully my hostel didn't charge me for the extra night (after I explained a few times that I had emailed them twice to say I wouldn't make it and that I would still be staying at least 3 nights), and they had a bed already made and ready in the dorm I would be staying in. 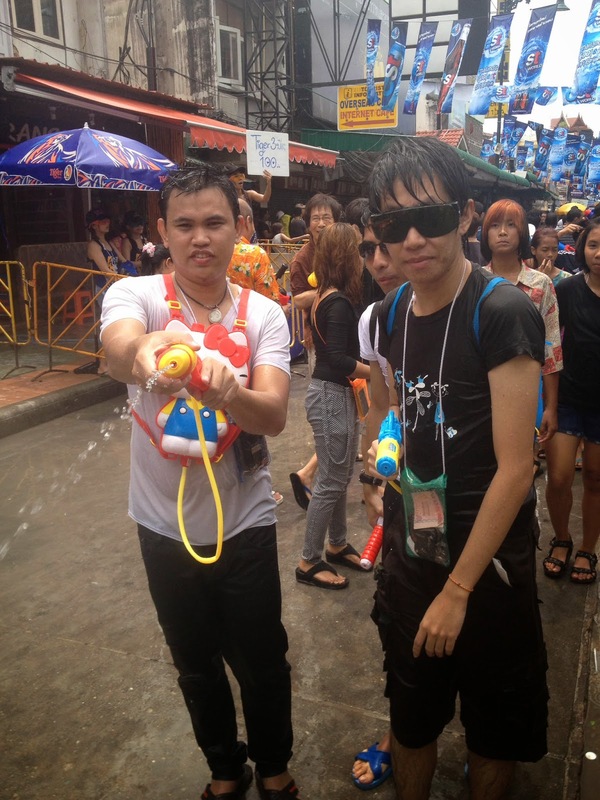 I retreated to my room for a few hours of rest, then geared up to experience Songkran. 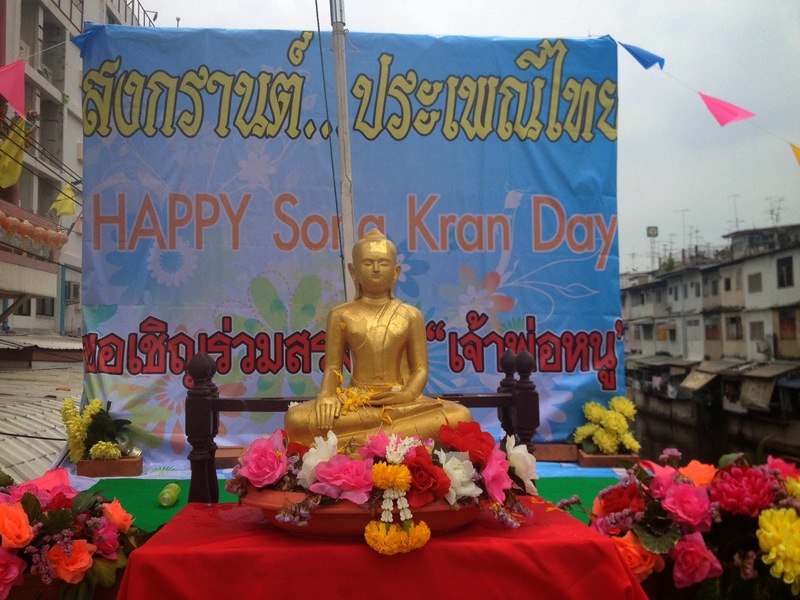 The festival was centered around Khao San Road, a legendary street in the backpacker world, full of hostels and bars. 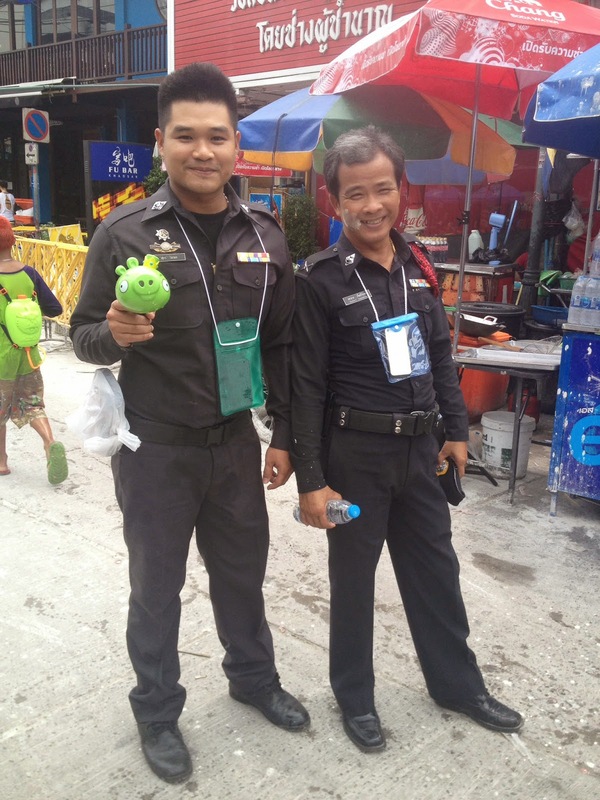 I was staying on Samsen Soi 4, close enough for a quick ten minute walk, but far enough away to stay well hidden from the madness when I wanted to. I had borrowed a squirt gun from the hostel, and I filled it up just down the road, after letting the resident kids douse me with water and the matriarch of the house cover my face and arms in a white clay substance. 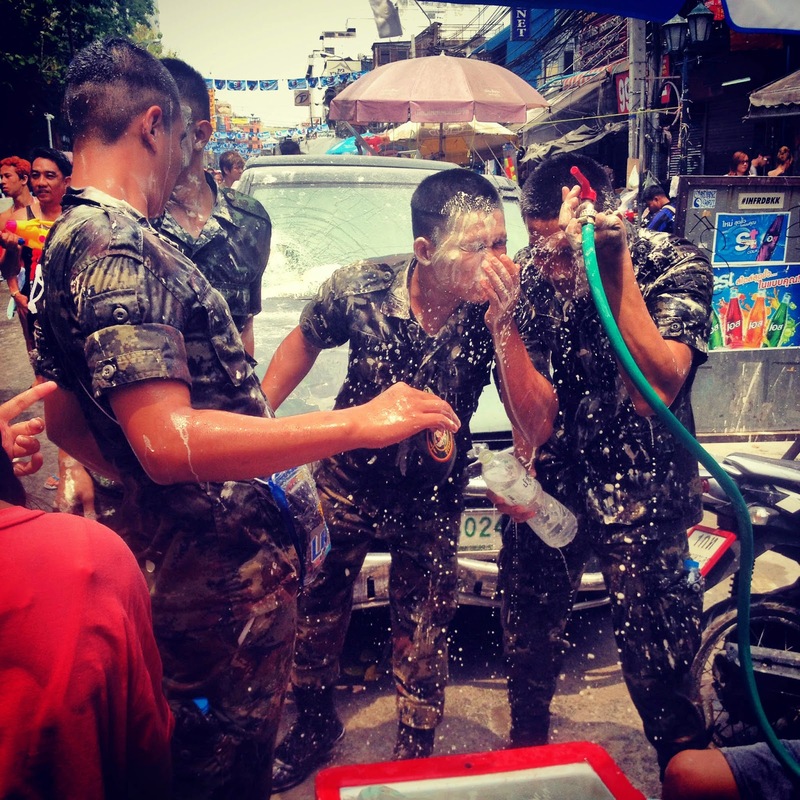 I arrived at the festivities a bit early, and the main road wasn't quite closed yet, so I walked down a street parallel to Khao San, getting relatively soaked by locals with squirt guns (returning fire as much as I could) - determined kids and giggling adults alike. 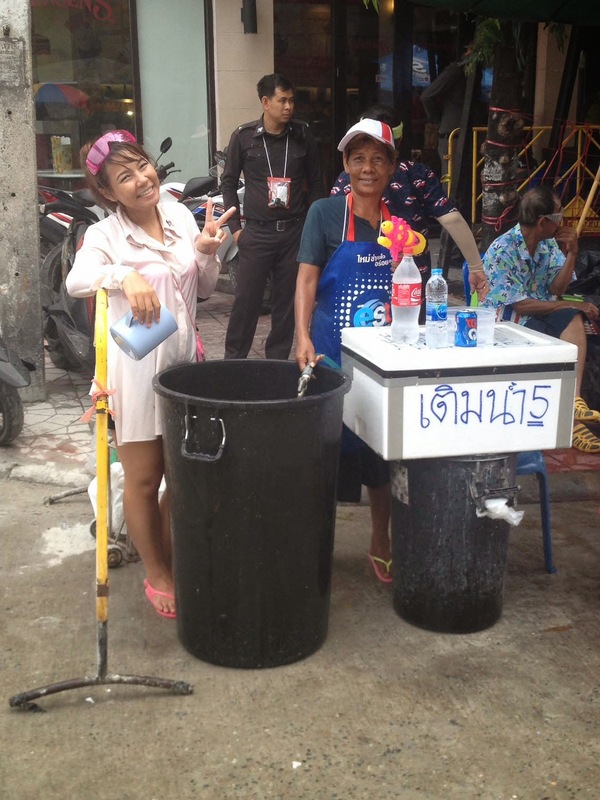 As I wound my way around towards Khao San, one woman actually ran up to me (I suppose being a tall white woman does make me a target), dousing me with an entire bucket full of ice water!! 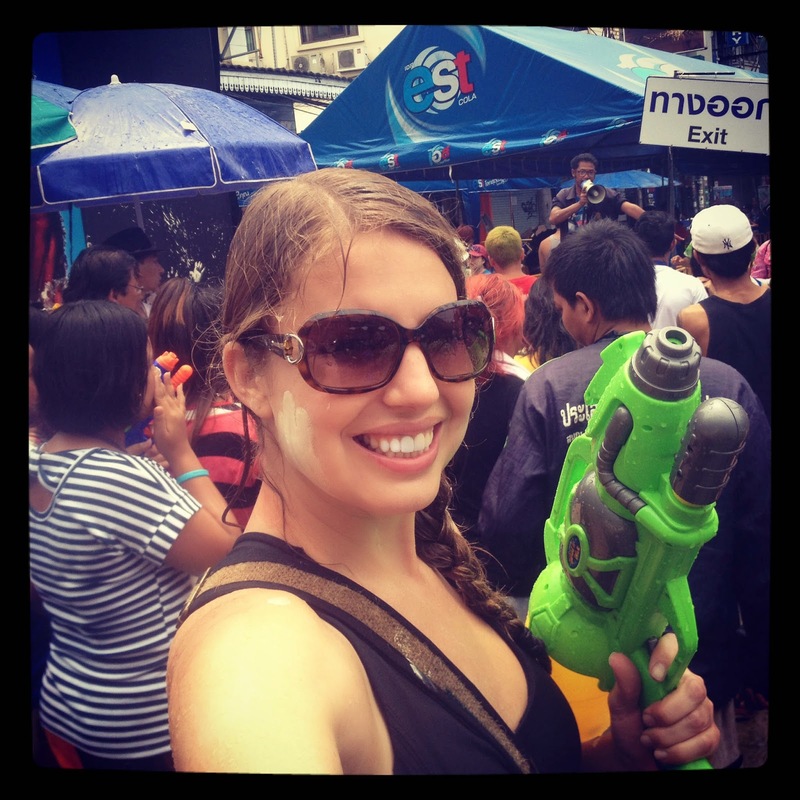 Khao San was absolute madness - there was loud music, vendors selling beer and water refills, and a stage-like set up where people were spraying hoses and giant water guns. 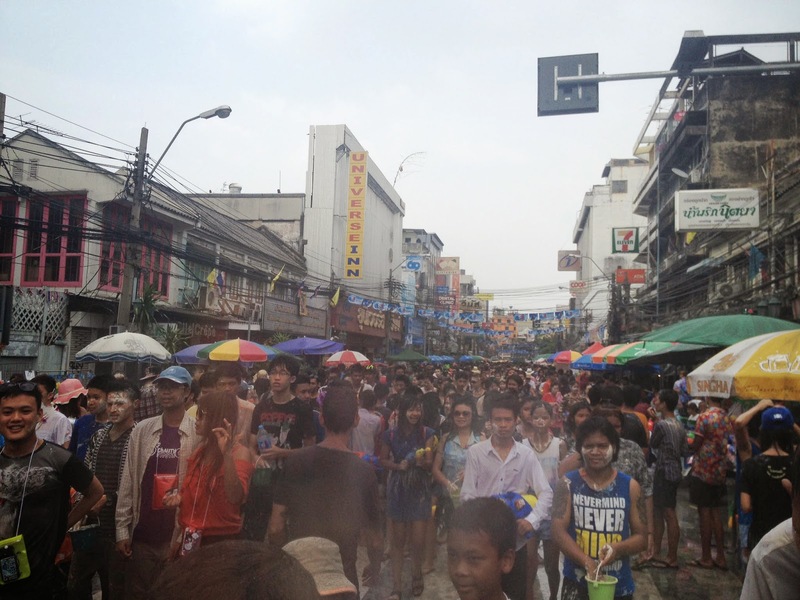 There were definitely a bunch of backpackers in the midst, but the festival was primary local Thais. 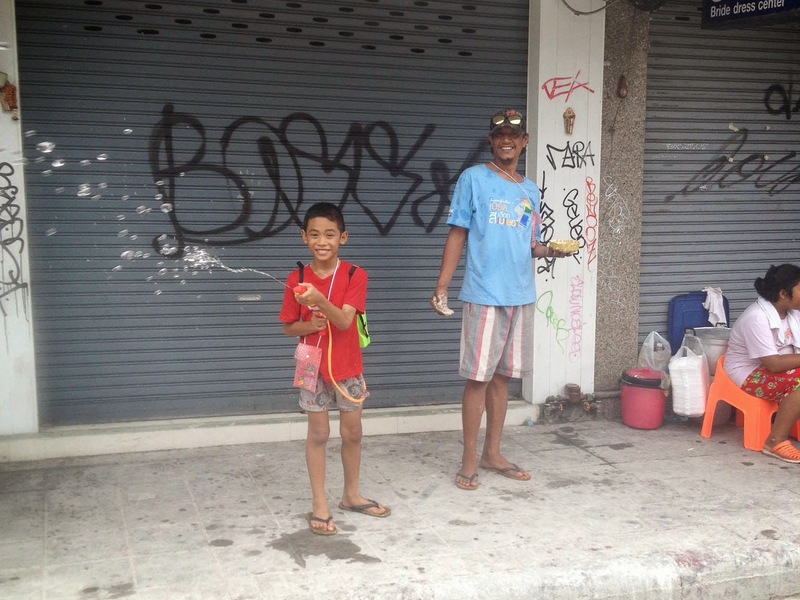 All along the street, shop owners and workers had trash cans and coolers full of water - some also full of ice! The little kids were hilarious - some were just figuring the whole thing out, and some were really getting into the spirit of the festival, grinning from ear to ear. 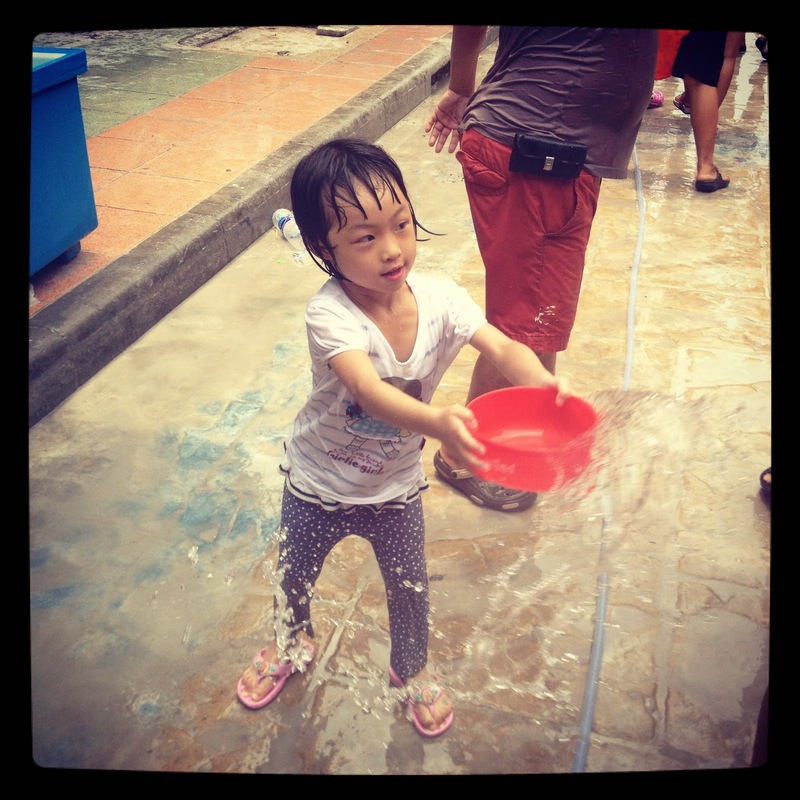 And the older ladies were incredibly endearing, smiling broadly as they doused you with pans of water. The variety of water guns was also entertaining - everything from Angry Birds to Hello Kitty backpacks (often on full-grown men) to the typical super soaker-style guns like mine. At some point I stopped for a bite of food on one of the quieter streets, just taking in the scene around me, protected from the madness for a brief moment. And just as I predicted, there were plenty of people struggling with full packs to make it to their guest houses, not at all immune to the efforts of those around them. Finally the exhaustion overtook me, and I made my way back to the hostel. Just in time too, as by now they had closed off the major road to traffic and it was absolutely jam packed with people. It had reached near-claustrophobic conditions, and the number of teenagers smearing clay all over my face was getting old. 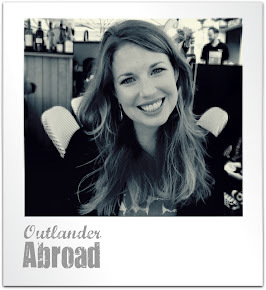 Plus, it was actually getting a little chilly outside, and that ice cold water wasn't quite so refreshing anymore! Finally out of the fray, I cleaned up and enjoyed the first of many Thai massages down the road from the hostel (successfully begging the kids I passed to spare me from the remnants of the water fight), happy to have finally made it to the "land of smiles" to enjoy my first experience with Songkran.